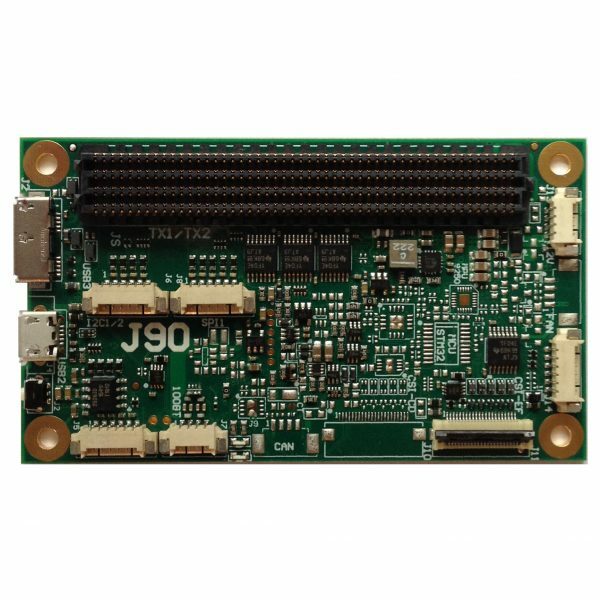 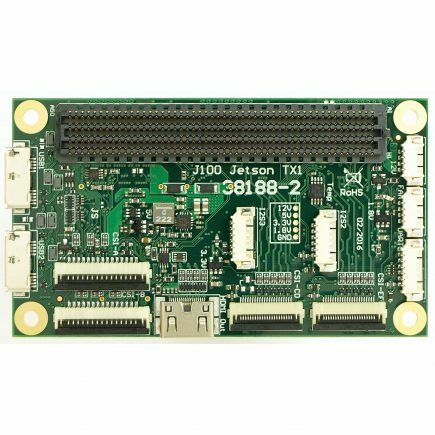 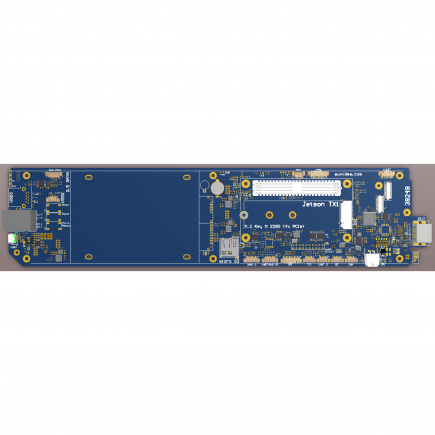 The J90-LC is a compact and low cost carrier board with the lowest vertical size. 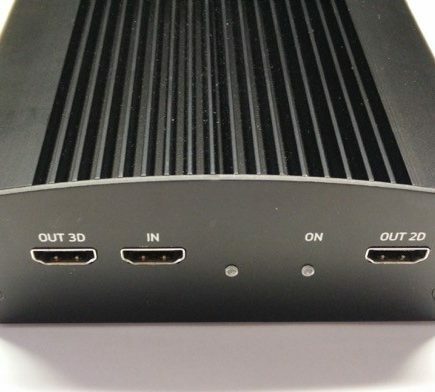 There are no components on the bottom side. 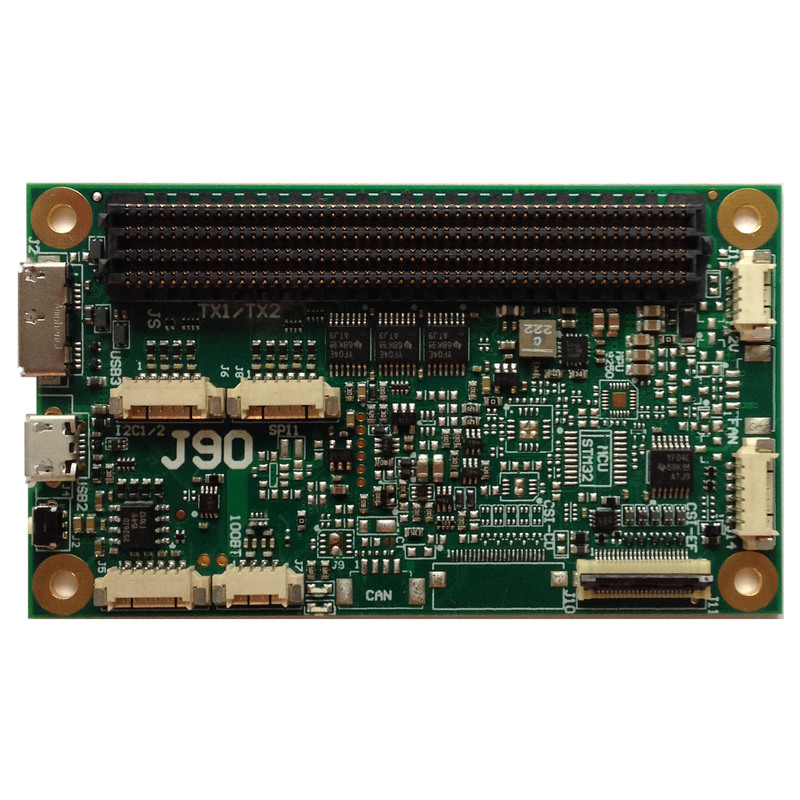 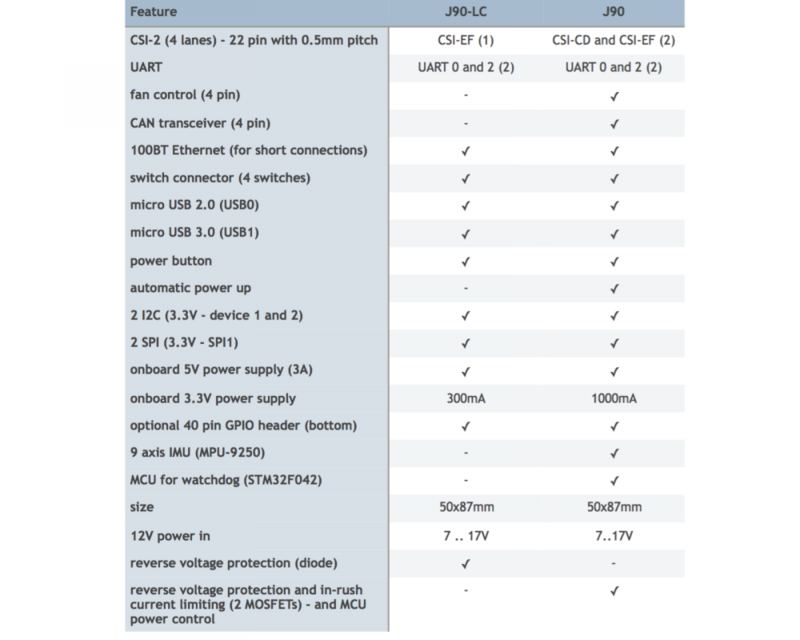 The J90-LC features: 2x UART, 1x CSI-2 (22 pin, 0.5mm pitch for IMX219 camera or B102 module), 100BT Ethernet (capacitive coupled – for short connections within a system or a room), 2x I2C (3.3V), 1x SPI (3.3V), GPIOs (3.3V), 1x micro USB 2.0, and 1x micro USB 3.0. 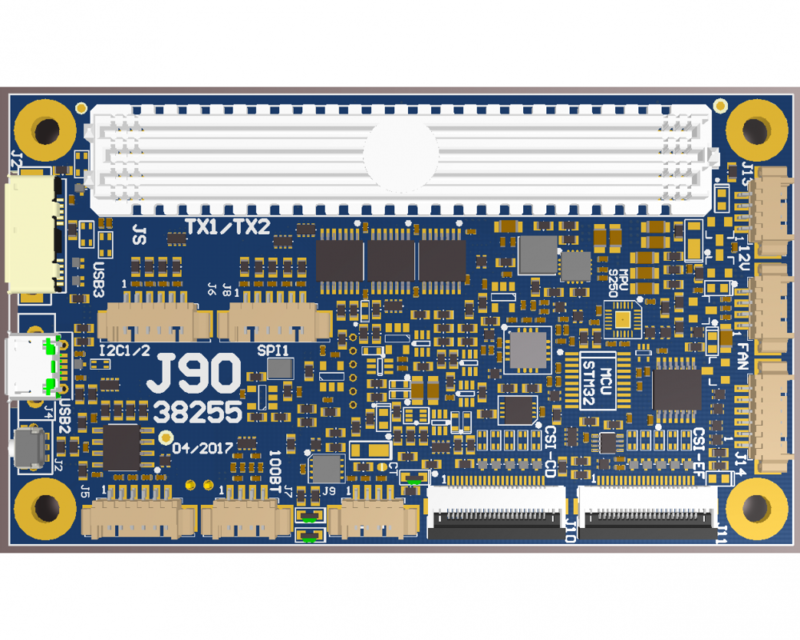 More more features please select the fully populated J90. 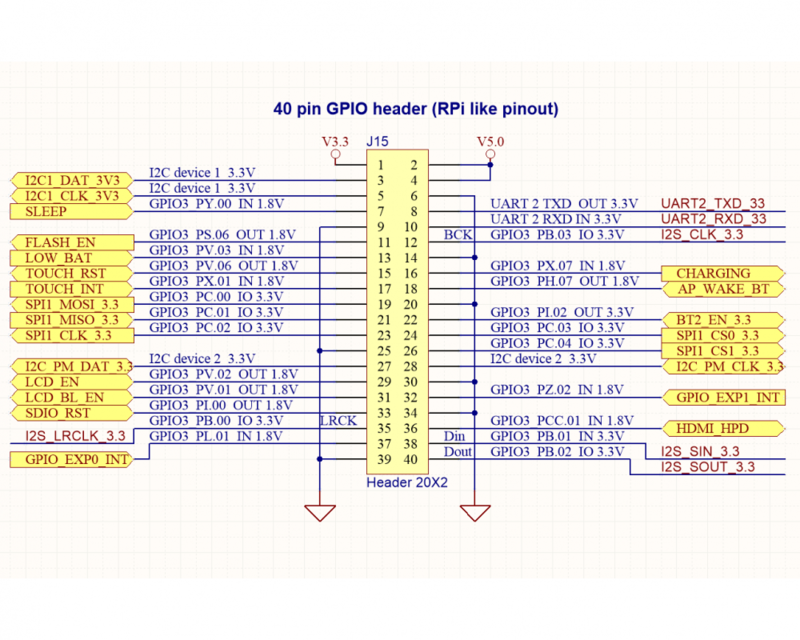 Optional 40 pin RPi like GPIO header (this header may be added on the bottom side – note: some signals are 1.8V level). 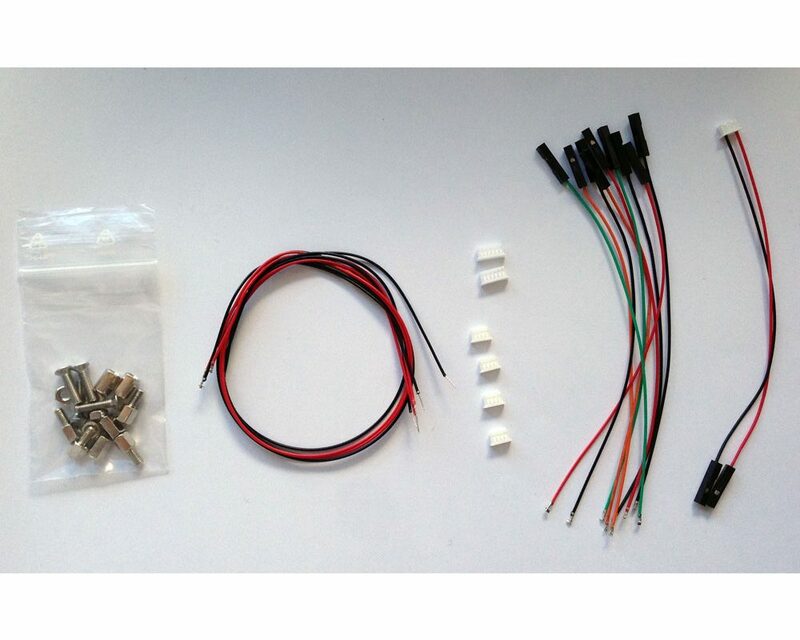 Additional cables, housings and mechanical parts may be purchased separately. 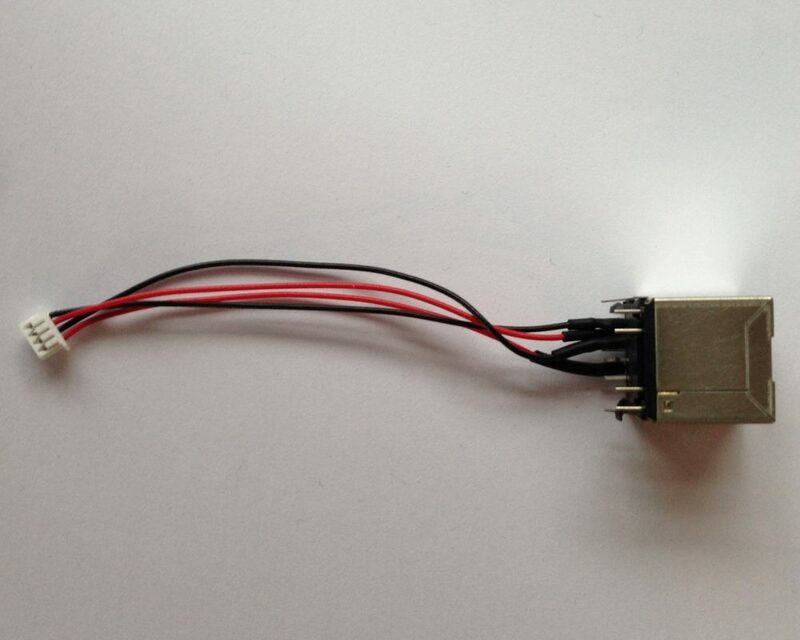 The RJ45 to 4 pin adapter cable is not included but may be purchased separately. 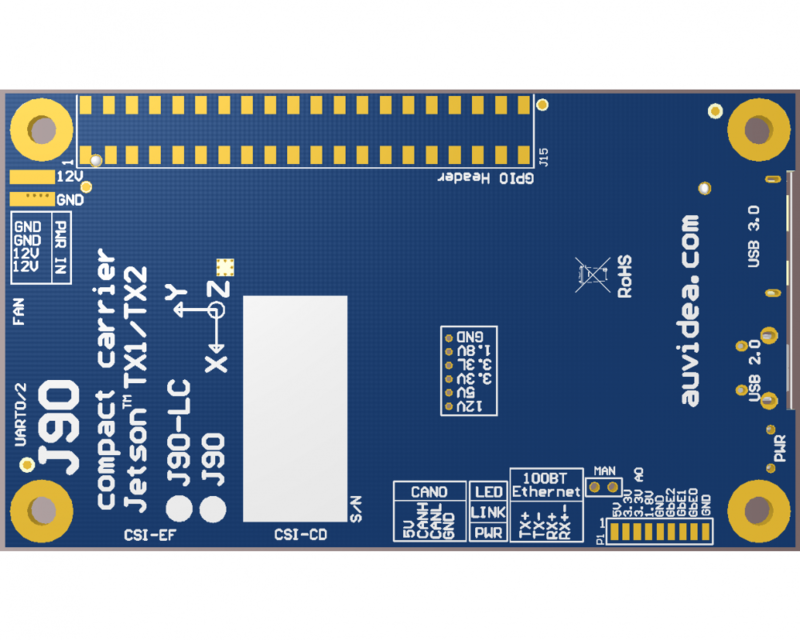 It connects the four Ethernet pins (2x TX and 2x RX) to the 100Mbit Ethernet connector.